If you are thinking of purchasing a home, you may want to consider having a radon test in conjunction with your inspection. Radon comes from the natural breakdown of uranium in soil, rock and water. It is a cancer causing, radioactive gas. You cannot see it, smell it or taste it. 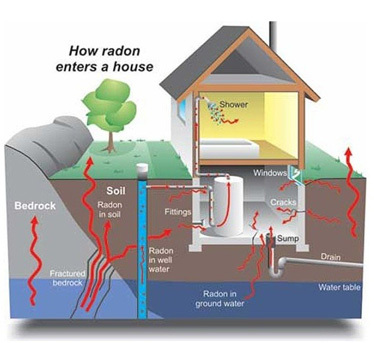 The truth is that Radon can be found anywhere because it comes from inside the earth. It can be found in any type of building. It typically moves up through the ground to the air above into a home through cracks and other holes in the foundation and becomes trapped inside, where it can build up. 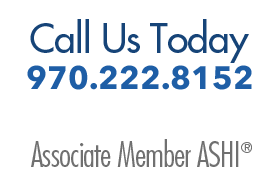 The EPA recommends that you obtain information about the radon level in the home you are considering buying. They also recommend that all residences below the third floor level should be tested for radon. If you decide to use a lower floor of your home, such as a basement you should definitely have this level tested. If elevated levels are found it is recommended that these levels be reduced. CAN YOU FIX A RADON PROBLEM?